Cancel anytime during your trial. Replay every game of the NFL season with full broadcast replays, condensed games in ~45 minutes, or the all-22 coaches film. Access available across devices. Cancel anytime during your trial. Get unprecedented access to every play, of every game, all year long. 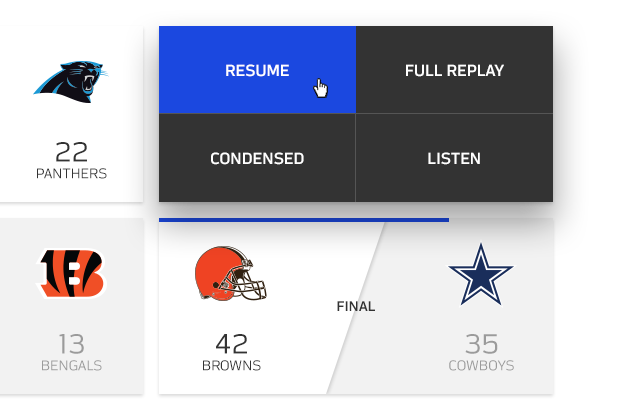 Relive the game exactly like you'd watch on Sunday with the broadcast view. Want more than just the highlights, but don't have time for the full broadcast? Watch a Condensed Game in ~45 minutes. Watch tape like the pros with Coaches Film, which shows all 22 players in one view. Want to relive some of the NFL's greatest moments? 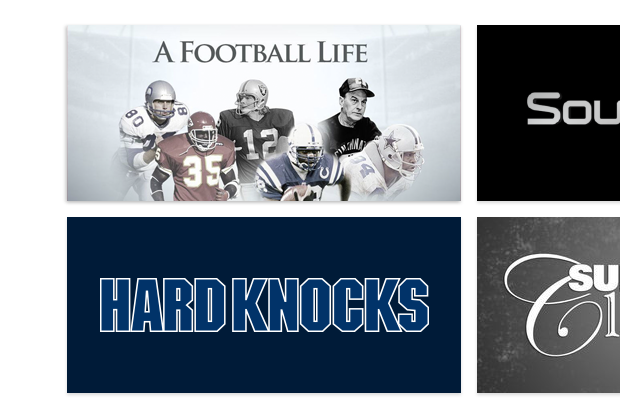 NFL Game Pass gives you access to classic shows, including previous seasons of Hard Knocks, A Football Life, and Sound FX. Have fun binging! Watch exclusive All-22 and Endzone angle footage that pros, GMs, scouts, and broadcasters from around the league use. See every snap, from every game. Watch a condensed game in around 45 minutes. Utilize multiple search criteria to curate a playlist and filter plays down to exact in-game situations. Search by: player, down, redzone plays, and more. Feel the hometown advantage even when you're away. Listen to the localized radio feed of your favorite team when you're on the go. From here on out, the games go where you go. NFL Game Pass is available across devices. Never miss a snap! Watch on your smart phone or tablet with the NFL app.